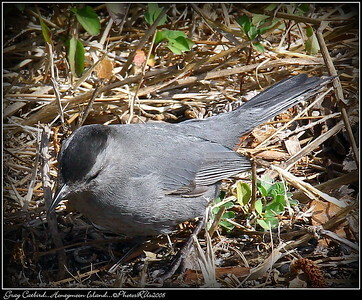 Size & Shape A medium-sized, slender songbird with a long, rounded, black tail and a narrow, straight bill. 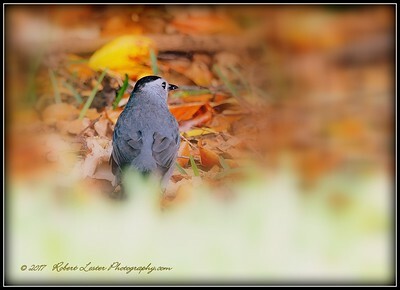 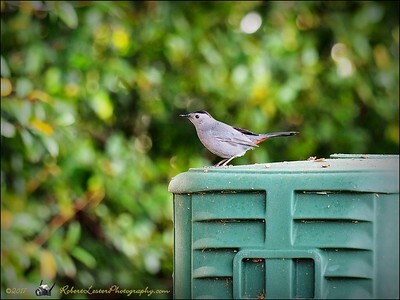 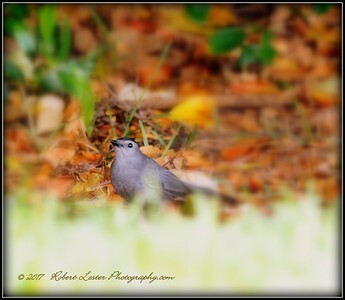 Catbirds are fairly long legged and have broad, rounded wings. 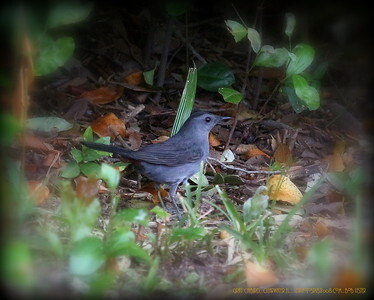 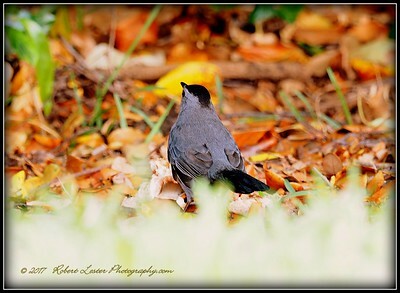 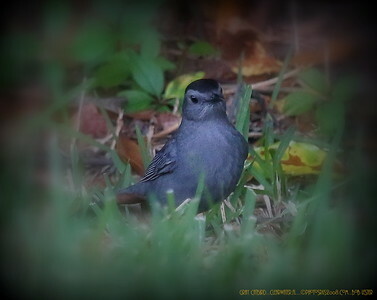 Color Pattern Catbirds give the impression of being entirely slaty gray. 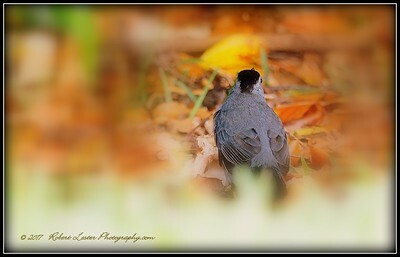 With a closer look you’ll see a small black cap, blackish tail, and a rich rufous-brown patch under the tail. 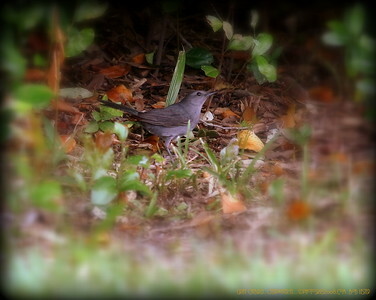 Behavior Catbirds are secretive but energetic, hopping and fluttering from branch to branch through tangles of vegetation. 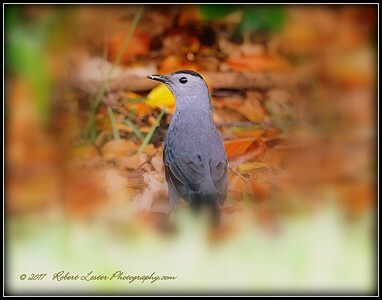 Singing males sit atop shrubs and small trees. 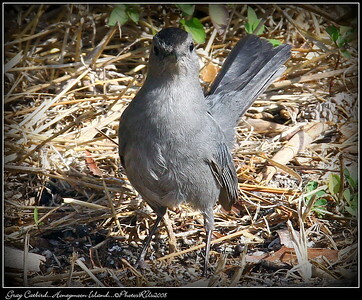 Catbirds are reluctant to fly across open areas, preferring quick, low flights over vegetation.